Chances are you've heard of Janis Joplin, or least heard one of her dynamic songs that is still played regularly on classic rock radio stations around the world. Her life story tells the tale of an influential rock singer who partied hard, put every fiber of her being into each performance and died at a young age, depriving the world of her talent. According to the timeline published at Janis Joplin's official website, the singer was born in Port Arthur, Texas on January 19, 1943. A social outcast as a liberated woman in a conservative town, she took solace in a variety of literary and artistic pursuits. However, it was music that finally captured her attention. She became a fan of folk, blues and jazz, especially emulating blues musicians like Bessie Smith and Leadbelly. 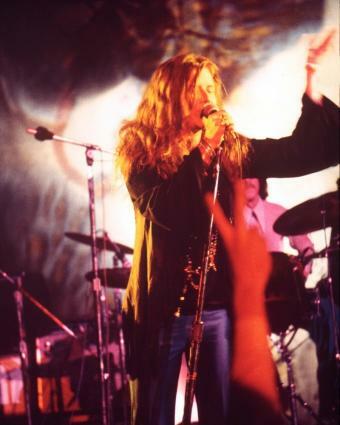 Janis left for San Francisco in 1963 to pursue a singing career. Despite doing some recordings she didn't find success and became so caught up in drugs that she finally returned home to rethink her future. However, she couldn't stay away from the music scene for long. In 1966, Joplin returned to San Francisco and joined Big Brother and The Holding Company as the band's singer. They released a self-titled debut album. It was at the 1967 Monterey Pop Festival where Janis Joplin first gained larger notice. Her performance of Ball and Chain perfectly showcased her powerful voice and blues-influenced style. A documentary of the festival helped spread the word to listeners outside of California. The band earned a big-label recording contract soon after and Cheap Thrills was released in 1968. The album included the well-known song Piece of My Heart. Joplin soon left Big Brother and The Holding Company and released a solo album, I've Got Dem Ol' Kozmic Blues Again Mama! in 1969. Unfortunately the album was released to only middling success. Joplin continued to work her way into the public consciousness, fine-tuning her back-up band line up and performing at Woodstock. It was her second and final album, Pearl, that produced the hits Me and Bobby McGee and Mercedes Benz. Janis continued to lead a hard-partying lifestyle, frequently turning to drugs and alcohol. According to a report published in the New York Times on October 6 1970, Janis had been recording at Columbia Records in Hollywood just prior to her death. When she didn't come out of her hotel room the following Sunday morning her guitarist, John Cooke, went to check on her and reportedly found her dead on the floor. The Los Angeles County Coroner, Dr. Thomas Noguchi, was called in by the LAPD to perform an autopsy on Janis' body. Between the police and coroner reports, it was established that a hypodermic needle had been found in Janis' room and there was a container with white powder in her trash can. Needle marks in her arm, as well as a toxicology report, confirmed the singer had died of a heroin overdose. Her liver also showed the effects of her alcohol abuse. Janis' final album, Pearl, was released after her death with a few pieces unfinished since only her early takes were available. In addition to number one hits and continued record sales, Janis Joplin's continued legacy is her image. In a heavily male-dominated music industry she created a distinctive persona and left a mark with her powerful voice. Janis was inducted into the Rock and Roll Hall of Fame, presented by singer Melissa Etheridge in 1995. The following quotes were included in the New York Times' report on Janis' death that was originally published on October 4, 1970. In reference to her arrival in San Francisco and the cultural scene she found there, Janis is quoted saying, "I couldn't believe it, all that rhythm and power... I got stoned just feeling it, like it was the best dope in the world." When Janis was asked once about how her hard-partying lifestyle might affect her life and career, she replied, "Maybe I won't last as long as other singers, but I think you can destroy your now worrying about tomorrow." At the official Janis Joplin website, the singer is quoted as having once said of her detractors, "Honey, to them I'm just a chick who is hung over at 11:00 in the morning... These people don't want to see me, baby." This next quote appeared in the follow up New York Times report on her death, published October 6, 1970. "I'd rather not sing than sing quiet." 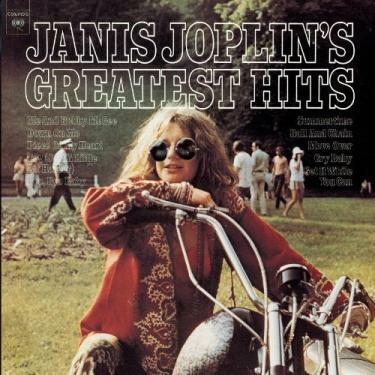 The following three albums represent Joplin's output with Big Brother and The Holding Company and as a solo artist. Fans looking for additional Joplin songs can find compilations and reissues featuring live recordings. I've Got Dem Ol' Kozmic Blues Again Mama! Janis' short life was simply too big to be contained in a simple bio. The following books are great resources, as well as entertaining reads. More than forty years after her death Janis Joplin's music remains relevant and continues to influence up-and-coming artists. Her recordings are reissued from time to time, and they're often covered by other singers, including Faith Hill's hit cover of Piece of My Heart. It seems Janis might have been wrong when she said maybe her career wouldn't last as long as some other singers. It has outlived her.